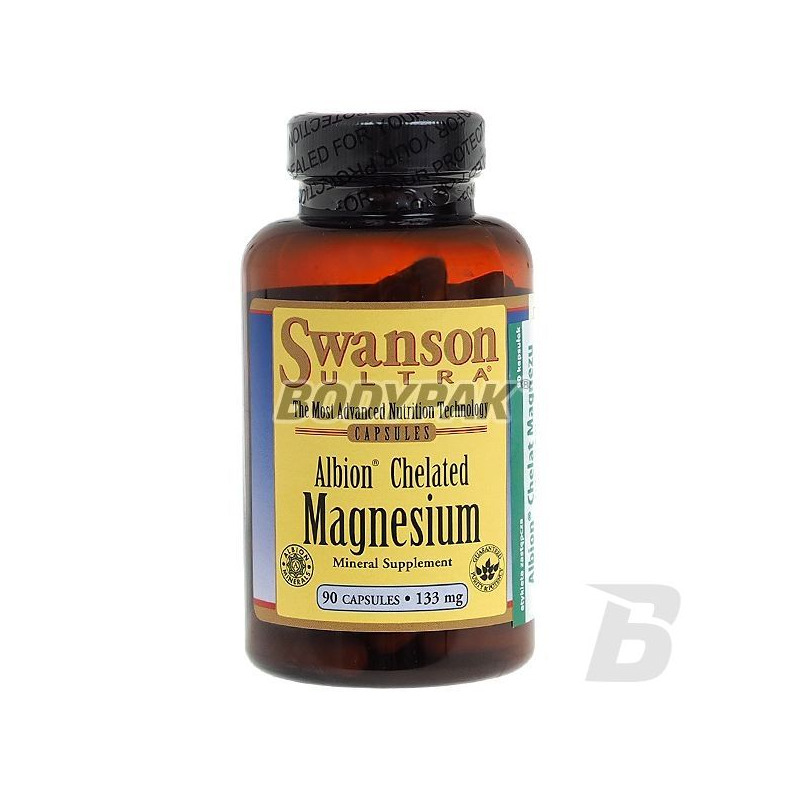 Vitamins & MineralsSwanson Albion Chelated Magnesium 133mg - 90 kaps. 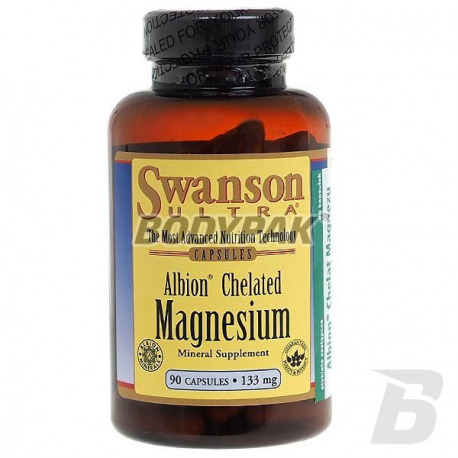 Swanson Albion Chelated Magnesium 133mg - 90 kaps. The highest quality and purest form of magnesium directly from a reputable manufacturer - Swanson. Enriched with "Optimum Abzorption Complex" positively influencing the process of assimilation of preparation! Magnesium influences health in many ways. With calcium and phosphorus are the main component of bone. The optimal ratio between magnesium and calcium is the basis for healthy teeth, bones, helps prevent osteoporosis, helps to regulate muscle function. Magnesium is essential in the metabolism and protein production. Thanks to this formulation will be able to avoid deficiency of this extremely important mineral that affects many aspects of the functioning of the body! If you are looking for a high quality supplement - just such a find! 1 capsule 3 times daily with meals. Składniki: diglicynian magnezu, imbir, owoce pieprzu długiego, owoce pieprzu czarnego, żelatyna (otoczka kapsułki), tlenek magnezu i kwas cytrynowy (regulatory kwasowości), maltodekstryna, mikrokrokrystaliczna celuloza (substancja wypełniająca), stearynian magnezu i/lub dwutlenek krzemu (substancje wypełniające).